Welcome to the August Gifted Gorgeousness link-up. The link-up date will continue to be the 15th and I will keep the link-up open until the end of each month so you have plenty of time if you are late posting. 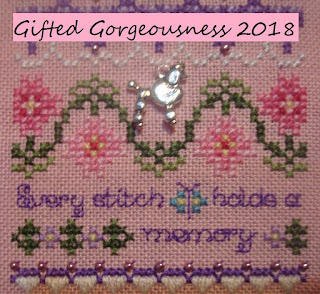 These are two little tinies for a friend of mine, from the Donna Kooler 365 Tiny Cross Stitch Designs book the Zodiac SAL comes from. Now it is your turn to show us your Gifted Gorgeousness for the month. Please use your name or your blog name in the field and NOT the words "August Update" so I can easily see who has linked up this month. And link to the actual post, not just your blog. It is easier if you copy and paste the link, rather than typing freehand. 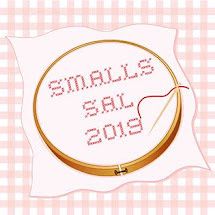 If you want to take part, just email me a photo of something you have stitched which is suitable as a postcard to a fellow stitcher along with a short message of the kind you write on a postcard. I will forward the photo to another participant who shows it on their blog. The photo can be anything Summer themed, beach themed, holiday themed, you get the idea! It can be a new piece or something from your archives. You have until the end of August to join in. Great progress Jo. I would love to see a pic of Alice. You are going to have a wonderful collection of 12 Days designs! I also made a quick short post to keep up with the SAL. The 12 Days design is moving along nicely!! Thanks for hosting this wonderful blog SAL. 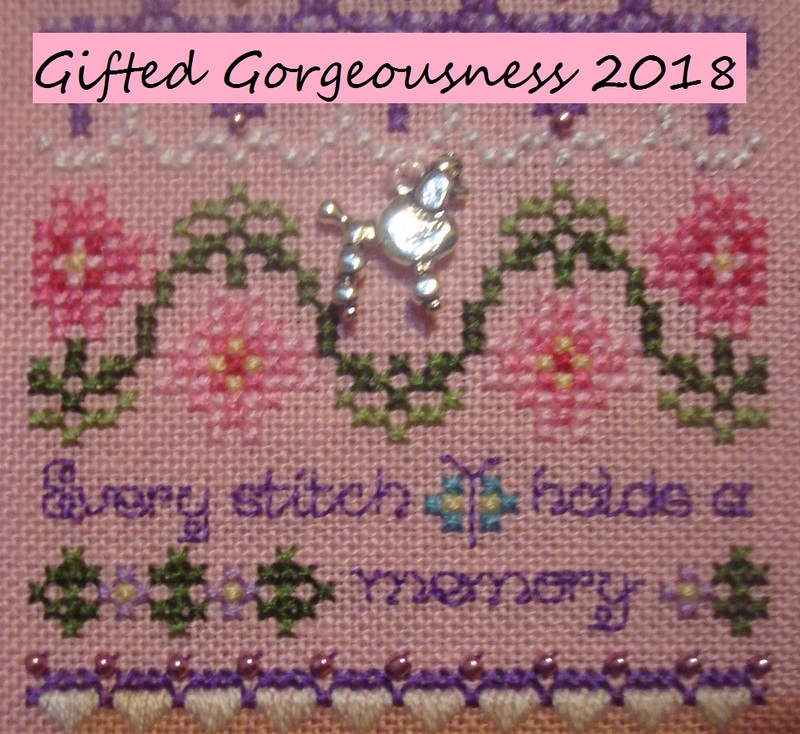 Love your beautiful stitching! Oh my I love the twelve days of Christmas, great progress on Discworld. Hi Jo! As usual, your stitching is fabulous!! The map is so unique, I'm sure your son will love it! The tiny stitches are so cute (I think I might have her book, I just love her designs!!) What will you do with them? Curious minds want to know! Thanks again for hosting this challenge (and the postcard challenge too! ), you make blogging fun! The Mappe is amazing. You have such patience! Thank you for hosting GG ..... it’s such fun! 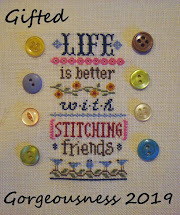 Love the Twelve days of Christmas ,all your stitching looks fab. Have a good Friday . Does your son like watching the progress on Discworld as much as the rest of us? Or is he like just finish it already? Great stitching for the GG SAL. The two little Donna Kooler designs are just darling. 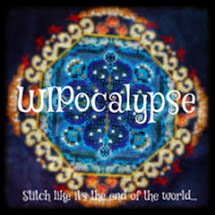 I have that book, too, and every now and then I stitch something from it, for a card for example. Awesome progress Jo. Love your tiny's. Phewwww! Managed to link my GG too!AriadnefromGreece! Your 12 days of Christmas will be completed in plenty of time for Christmas. Your son will be delighted when the Discworld mappe is completed. Lovely stitching as always. 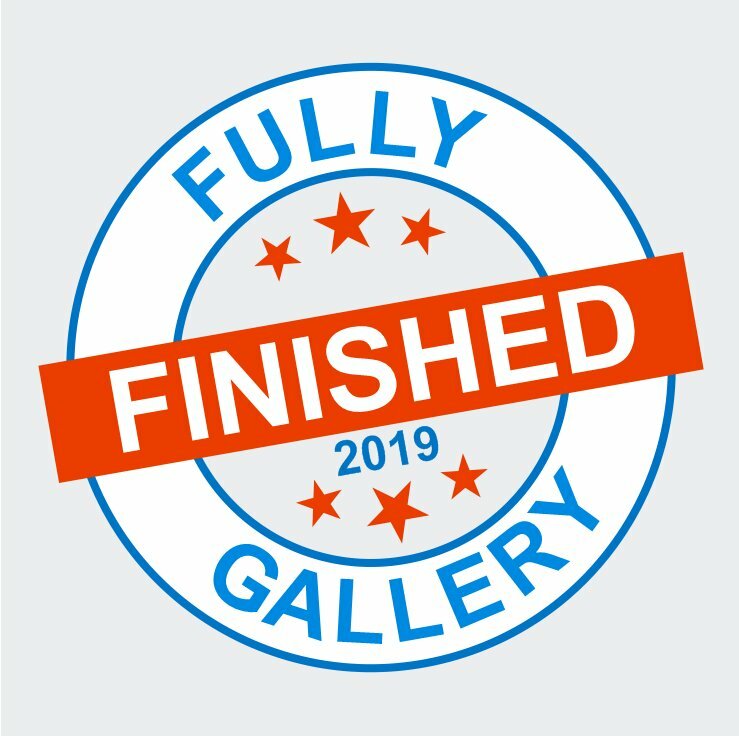 Lovely progress and I made it under the wire! Whelp, I finally made it and linked in!